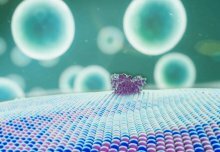 Artificial cells that release materials when exposed to light have been embedded in a durable membrane, allowing chemical reactions to be controlled. These structures could be used to control the synthesis of drugs in the body on demand, as well as function as microreactors that can simplify the production of valuable chemicals. Artificial cells are based on containers called vesicles, which are built from lipids. They are used by scientists because they offer more control over processes than is possible with biological or natural cells. Researchers from Imperial College London created a series of small vesicles that react to light by breaking their membranes, releasing the materials inside. The researchers then encased all these vesicles in a larger vesicle that does not react to light. 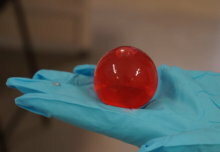 This created a mini chemical reactor – a container for the smaller vesicles so that their released contents can react with each other in a confined space. Their method is published in the journal Nature Communications. 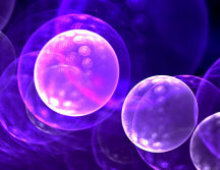 The team also hope that by engineering the membranes of the smaller vesicles to react to different wavelengths of light, they could precisely time the order and length of each reaction step. Co-author Professor Oscar Ces, from the Department of Chemistry at Imperial, said: “Our confined microreactors are a crucial step in making responsive artificial cells programmed to carry out certain reactions on cue. To make the smaller vesicles react to light, the team engineered their membranes. When ultraviolet light was shone on them, their lipid membranes reacted, creating holes for the contents to escape through. The team at Imperial have been working with artificial cell vesicles to produce a ‘toolkit’ of useful structures and functionalities. These include recent advances in coupling biological and artificial cells and sticking artificial cells together to form ‘tissues’. Chemistry PhD student and first author of the study James Hindley hopes to control increasingly complex reactions using a series of nested vesicles that react to different wavelengths of light. These structures could be directed by ‘phototherapy’ – where a doctor uses light to trigger the vesicles at the right place from outside the body – or eventually the vesicles could even be induced to begin reactions by sensing chemical changes within the body associated with disease. The team have likened their mini reactor structure (right) to Kandinsky’s painting ‘Circles in a Circle’ (left). 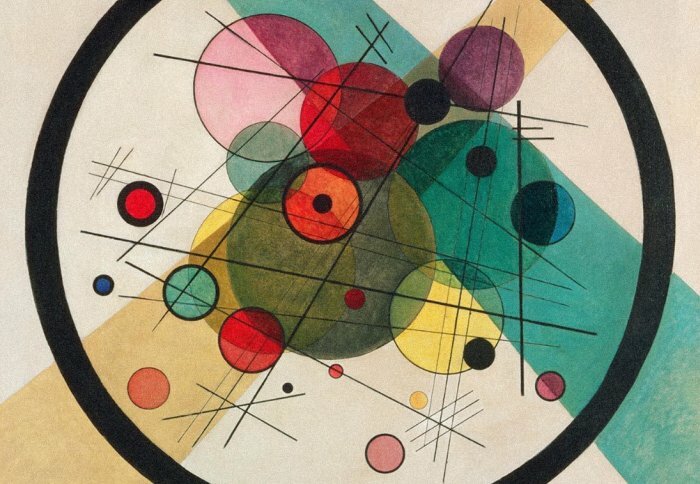 When looking for a way to illustrate their work, the team stumbled on a painting by Wassily Kandinsky that seemed to match perfectly. Co-author Dr Yuval Elani, from the Department of Chemistry at Imperial, said: “The artwork contains circles in a nested arrangement also seen in our vesicle structures. Coloured strobes penetrating through the vesicle from the outside correspond to the UV irradiation used to trigger release in our system. ‘Light-triggered enzymatic reactions in nested vesicle reactors’ by James W. Hindley, Yuval Elani, Catriona M. McGilvery, Simak Ali, Charlotte L. Bevan, Robert V. Law & Oscar Ces is published in Nature Communications. 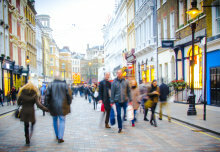 The research is one of the first results from FABRICELL, a virtual research centre led by Imperial and Kings College London that brings together leading research groups working in artificial cell science in London. It consists of a series of labs across Imperial and Kings, as well as formal and informal education and research opportunities. FABRICELL has just launched a Leverhulme Doctoral Training Centre for Cellular Bionics, and PhD studentships are open for application.